Unocoin believes in the principle of highest customer benefit without compromising on the security of funds in the event of hard fork/network split. Forking of a cryptocurrency network can now be seen as a way that many organizations have identified to spread out their tokens to a wide audience. As the forked chain can also be programmed to award some pre-mined coins to founders, change the mining algorithms and difficulty levels dynamically, there won’t be a technical limitation to such feats and all it needs is a small team of programmers and a small community following to support such forks. We have seen numerous such forks so far but only one has sustained till now (Bitcoin Cash). We may even see the new age fundraising & fund distribution taking this approach in the future. 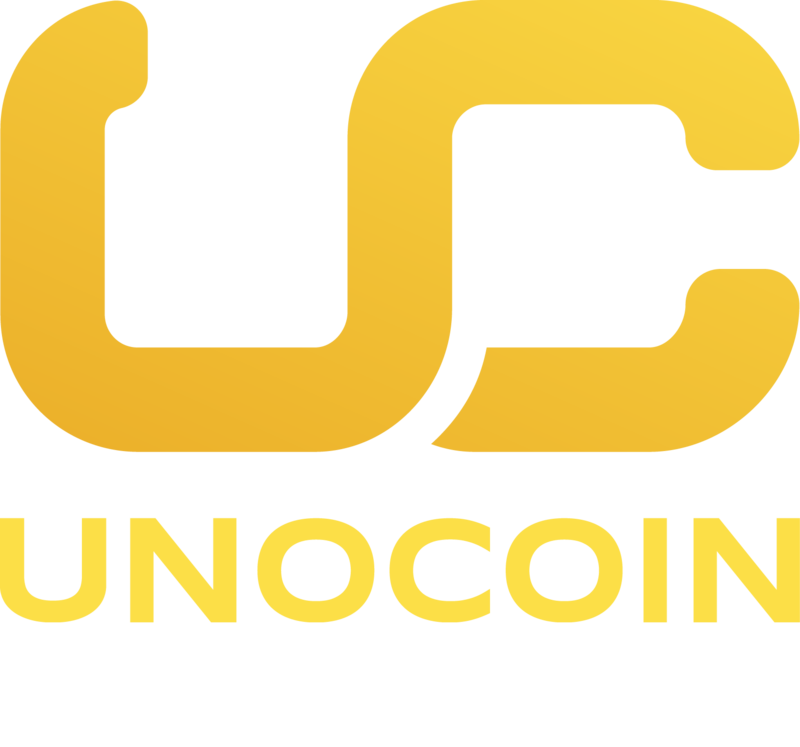 Unocoin is presently designed to be a single cryptocurrency trading platform and is supporting Bitcoin trading since the last 4 years. The number of hard forks that could emerge is not in control of Unocoin. Supporting all the hard forks will require significant resources and manpower involving investigation of the forking-code base and supporting team along with the research & development of the infrastructure to support the forked coins and finally for the disbursement of those coins. 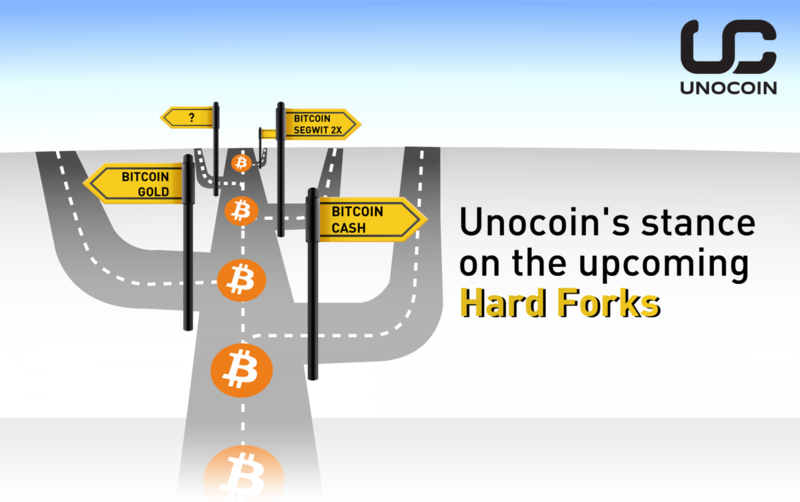 As this could become impractical very fast, it pushes Unocoin to have a stance in general regarding the hard forks. Keeping the above-mentioned reasons in mind, Unocoin will not be supporting any hard forks for bitcoin or any other cryptocurrency upfront unless stated otherwise including the disbursals of those forked coins (based on the due diligence & discretion of Unocoin). However, Unocoin may choose to support forked coins in future if it proves to be significantly valuable and secure. Whenever this happens, either Unocoin will list the coin on www.unocoin.com to trade/exchange or will enable distribution of the forked coins with a strict deadline of 4 weeks since the event of the fork. In these 4 weeks, we will do our best to support weekly distribution cycles as such distribution may need intensive manual work. The undistributed or unclaimed (after the 4 weeks deadline) forked coins will either be untouched/burnt (if they do not have considerable value) or they will be used for the benefit of customers at the discretion of Unocoin. Customers who need access to the forked coins irrespective of Unocoin’s stance or do not want to support our above stance for whatever reasons or as soon as the fork happens are requested to withdraw the bitcoin before the particular fork in question and keep the bitcoin in your own bitcoin wallets. We won’t be able to officially recommend any wallets. However, at your own risk, you may choose hardware wallets like Trezor and Ledger, or software wallets like Jaxx and Coinomi which generally start supporting the forked coins quite fast or you can opt for any forking community’s official wallets. Regarding the two upcoming hard forks, keeping in mind the safety & security concerns pertaining to the “Bitcoin Gold” fork due to the instability of network and insignificant support, Unocoin is not supporting “Bitcoin Gold” at present, but might extend support at a later date which would be informed effectively to the customers. Unocoin’s current priority is to support the Segwit2x fork (planned at block-494784 [Read more @ this Unocoin News article]).